Yearbook classifieds for Brazoswood High yearbooks are listed below. If you want to see if others from Clute, TX high schools want to make a trade for a yearbook, post your info below. If you are a Brazoswood alumn, we encourage you to register and be sure to sign up for the alumni newsletter. I really really wish I had bought one! Now I'm without. Please help. Would like a copy of yearbooks 1996, 1997, 1998 and 1999 please. i was wanting year books from 1994 thru 1998 please email me and tell me how much it would be to get them and to see if you have them or can get a hold of them for me thank you so much i lost them because of my ex girlfriend. I never got the chance to buy one in school. I went to 5 different schools in 4 years, and would up graduating from the same school as my father. I had a lot of fond memories at Brazoswood, and would love to own the yearbook of my graduating class. I am looking for the yearbooks from 1990, 1991, 1992, and 1993. In search of a 1991 and 1992 year book. Looking for yearbook 19777 or 1978. Please contact me. 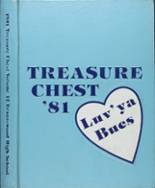 If You have an extra yearbook 1977-1978 or know how to obtain one please contact me. Thank You! I am looking for the yearbook of the year 1976-1977. 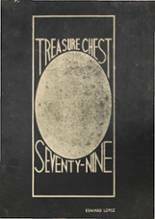 I am looking for a 1976 Treasure Chest Yearbook. Please let me know if you have one that you are willing to part with. E-Mail Harrell Hall @ *****@yahoo.com or leave a message @ (979) 299-XXXX . Thank You. Anyone have a class of 74 yearbook?